In California, drowning is a leading cause of injury-related deaths among children under the age of five. Each year, near-drowning incidents result in life-long disabilities. 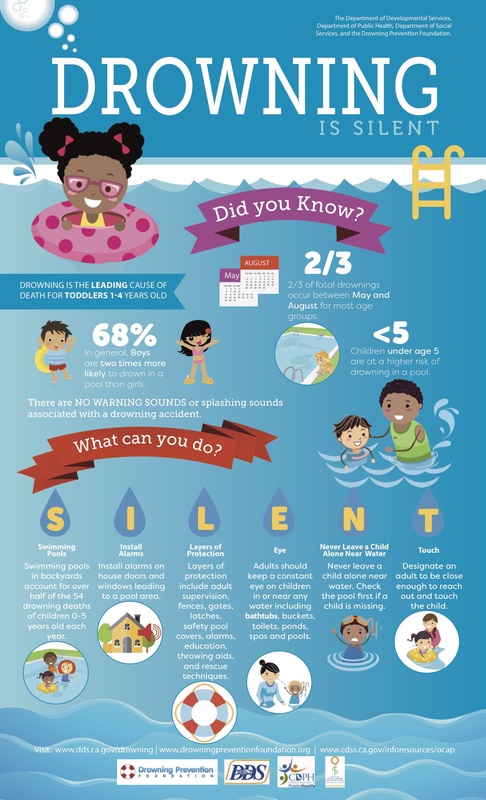 The Department of Developmental Services (DDS) and the Drowning Prevention Foundation continue to raise awareness on this issue, and remind parents and caregivers that drowning is preventable. For more information visit the Department of Developmental Services.